USAF SMSgt. (Ret.) Frederick L. Thompson, passed away Monday January 14, 2019. He was born July 19, 1938 in Hollidaysburg, PA, the son of the late Frederick and Martha (Guyer) Thompson. 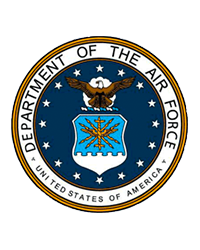 Fred proudly served his country in the U.S. Air Force, retiring at the rank of Senior Master Sergeant; and followed with employment in civil service, retiring after 39 years of combined federal service. Fred was active in Freemasonry as a member of Masonic Lodge #764, Fairborn, Xenia Chapter #36 RAM, Wright Council #96, Nathaniel Greene Commandery #81, Ancient Accepted Scottish Rite Valley of Dayton, Ohio Masonic Home, and the Grand Lodge of Ohio. 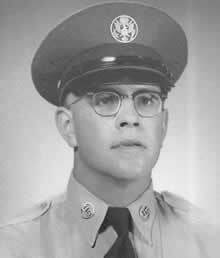 He was also a member of the 317th Veterans Group, New Smyrna Beach, FL. In addition to his parents he was preceded in death by two brothers, Harry and Richard Dwight Thompson. Fred is survived by his loving wife of 56 years, Loretta; two sons, Timothy (Beth) Thompson, Mark (Shelly) Thompson; seven grandchildren, Frank Waker, Steven Waker, Philip Thompson, Sam Thompson, Chris Thompson, Fiona Thompson Sydney Thompson; three great-grandchildren, Braiden, Raylee, Leeland; as well as many extended family. 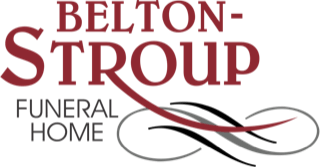 A funeral service will be held on Friday January 18, 2019 at 12:00 noon at the Belton-Stroup Funeral Home, 422 E. Dayton-Yellow Springs Rd., Fairborn, Pastor William Keen officiating. The family will receive friends from 10:00 A.M. until the time of Masonic service at 11:45 A.M. Burial with military honors will follow at the Byron Cemetery. If desired, memorial contributions may be made to the Shriners Hospital, Cincinnati.